Hippity, hoppity, Easter's on its way! And if you're hosting a big Easter dinner or have been invited along to a potluck, you might be on the look out for perfect Easter desserts! 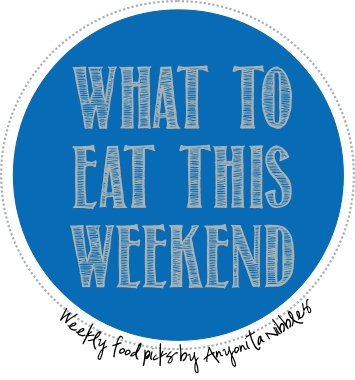 You're in luck: here are some fab options that you can test out this weekend, ahead of the big dinner! I can just imagine how delicious this indulgent sweet potato cinnamon roll cake would taste hot from the oven on Easter Sunday! I'm thinking top it off with some ice cream, kick your feet up & relax afterwards! 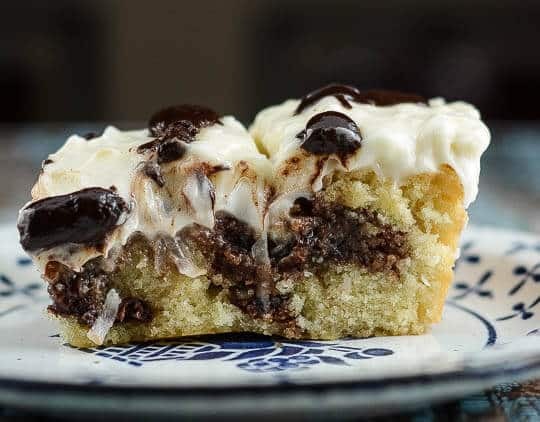 This delicious and easy coconut fudge swirl cake is going to be the only thing people talk about at yours this Easter if you serve this for dessert! How absolutely amazing does it look?! This allergen friendly, no egg chocolate mousse would make an excellent, lighter dessert for after the big feast! Even though they're sweet little heart shapes, I'm know these fudgy chocolate brownies with vanilla salt would be excellent following a hearty Easter dinner! G'day! All great suggestions Anyonita!